We almost certainly don't know all the Pools in Austria. Are you missing any? Contact us!. Are you on holiday and want to preserve fit and healthy? 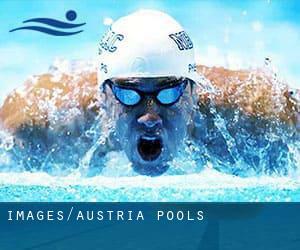 Swimia.com offers you the quick and quickest solution to find Aquagym in Austria near your present location. Thanks to some new pools submitted by swimmers like you, Swimia.com is increasing in the daily number of stored pools. Please don't hesitate to contact us if you find any Austria Swimming Pool with inaccurate or incomplete info. Before trying any pool, make sure you know the rules and regulations for Austria Pools as they may not be the same as in your property town. We recommend you contact the pool directly to ask in the event you will want a hat, and what type of footwear or certain clothing you will need. 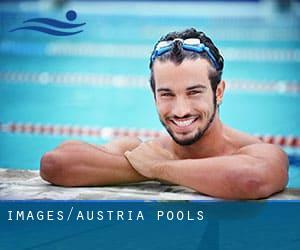 If you might be seeking for Austria Pools, it's good to know a number of of them belong to gyms or sports centers which also supply lessons. Get informed by calling the premises. The most beneficial selection for the duration of your visit to Austria will be droping by a Austria Swimming Pool. One on the benefits of outdoor swimming in Austria is the possibility to sunbathe throughout the summer season. Taking it with added care, sunbathing is healthful since introduces Vitamin D into the body, so the most effective selection seems to be switching between indoor and outdoor pools depending on the season. There are various reasons why you should choose a heated swimming pool in Austria. Essentially the most necessary a single relies on the importance of keeping the body temperature stable. If the water is too cold, your body will try to warm it up and you will lose strength to swim properly. Enjoy the best indoor pools in Austria and don't worry about the weather. These facilities are open all seasons and you can enjoy a swim at the same temperature every day of the year. Swimming is a terrific thought to keep your body active during your visit to Salzburg (Austria), or even when you are a local. Swimia helps you to find your closest Swimming Pool in Salzburg. It's hard to visit Austria without dropping by Linz (with 181.162 residents). Currently Swimia is showing you all the Swimming Pool in Linz and also the closest pools located in its vicinity. Without a shadow of a doubt, swimming in Klagenfurt is the best way to unwind right after work. Take a couple of minutes to browse Swimia's catalog to find a Swimming Pool in Klagenfurt. Let us tell you a secret to switch off while you might be in Graz: just decide on a Swimming Pool in Graz and plunge into the water! There's no extra helpful method. Whereas Vienna is among the six most populous cities in Austria with nearly 1.691.468 residents, you shouldn't miss that one if you're going to Austria. Holding an estimated population of 112.467, Innsbruck is one of the most important cities in Austria. Check all the Pool in Innsbruck and its surrounding area. Updated on 2019 Fuerstenweg 12 , Innsbruck (Postal Code: A-6020). Swimmers like you reported 25 meters x 16-2/3 meters, 6 lanes, Indoors. Unfortunately we do not have the email address of this Swimming Pool, but we can give you the phone number. Updated on 2019 Hintertux 765 , Hintertux (Postal Code: A-6294). Among all the activities offered by the center, if you are interested in swimming you can enjoy 17 meters x 7 meters, maximum depth 1.5 meters, maximum depth 1.5 meters, Indoors. If you need to contact this Swimming Pool, email address and phone number are both number. Updated on 2019 In der Au , Klosterneuburg (Postal Code: A-3400). Among all of the activities offered by the center, if you are thinking about swimming you are going to enjoy 25 meters, 5 lanes, Indoors. If you might want to contact this Swimming Pool, e-mail address and phone number are both number. Updated on 2019 Millennium City , Wehlistrasse 66 , 20th District , Vienna (Wien) (Postal Code: A-1200). Swimmers like you reported 20 meters, Indoors. Phone number and email address are number for this Pool. Updated on 2019 Badstrasse 21 , Veitsch (Postal Code: A-8663). This sports center offers 25 meters x 8 meters, Indoors. For this Swimming Pool, only phone number is number here. Updated on 2019 Schulgasse 1 , Ladendorf (Postal Code: A-2126). Among all of the activities supplied by the center, for anybody who is considering swimming you will enjoy 25 meters, Indoors. Just in case you wish to contact this Swimming Pool prior to dropping by, we only know the phone number. Updated on 2019 Lichtenauerstraße 10 , Haslach an der Muehl (Postal Code: A-4170). This sports center gives 25 meters, 4 lanes, Indoors. For this Swimming Pool, only phone number is number here. Updated on 2019 Plankenwehrstraße 11 , Schwechat (Postal Code: A-2320). Among all the activities offered by the center, if you are interested in swimming you'll take pleasure in 25 meters, 5 lanes, Indoors. Just in case you want to get in touch with this Swimming Pool before dropping by, we only know the phone number. Updated on 2019 Stadionstraße 8 , Amstetten (Postal Code: A-3300). Among all the activities offered by the center, if you are thinking about swimming you are going to get pleasure from 25 meters x 10 meters, Indoors. If you have to make contact with this Swimming Pool, email address and phone number are both number. Updated on 2019 Waldandacht 5 , Muerzzuschlag (Postal Code: A-8680). Among all the activities provided by the center, when you are interested in swimming you may delight in 25 meters x 12.5 meters, 1.2 meters - 1.6 meters depth, 1.2 meters - 1.6 meters depth, Indoors. If you should contact this Swimming Pool, email address and phone number are both number. Updated on 2019 Gosau Gemeinde Nr. 347 , Gosau (Postal Code: A-4824). This sports center offers 25 meters x 12.5 meters, Indoors. For this Swimming Pool, only phone number is number here. Updated on 2019 Bundesstrasse 13 , Murau (Postal Code: A-8850). Among all of the activities supplied by the center, should you be interested in swimming you will enjoy 25 meters x 13 meters, Indoors. If you should contact this Swimming Pool, e-mail address and phone number are both number. Updated on 2019 Schulstraße 5 , Oberndorf an der Melk (Postal Code: A-3281). This sports center offers 25 meters, 4 lanes, Indoors. Contact details for this Swimming Pool including phone number and e-mail address are number. Updated on 2019 Schulweg 1 , Fieberbrunn (Postal Code: A-6391). This sports center gives 25 meters x 12.5 meters, Indoors. Contact data for this Swimming Pool such as phone number and email address are number. Updated on 2019 Hilberstrasse 17 , Igls (Postal Code: A-6080). This sports center delivers 20 meters x 6 meters, maximum depth 1.7 meters, maximum depth 1.7 meters, Indoors. Contact facts for this Swimming Pool such as phone number and email address are number.